We truly believe that wedding photography is not just about nice pictures. We want to create memories that will last through time and will get you back to your wedding day even when you’ll be 80 years old and will make you smile or shed a tear. Still holding each other’s hand. Our photographs are not only about you in a pretty dress and in a cool landscape. It’s about you and your emotions, the way you connect with one another in your own peculiar and personal and unique way, it’s about you and your love for each other and the affection around you. The smiles, the hands, the happyness and the emotions of your Big Day is something so much bigger than a single picture. We believe that such human connection is essential even with your photographer and it’s everything for us and we express it with our work. Let’s connect and write a piece of history, your history, together. Every new adventure begins with a meeting. If possible in person, if not via Skype, Facetime or whatever help us connecting as long as we have enough time to get to know you a little bit in a comfortable and relaxed atmosphere. Preferably over a beer or a Moscow Mule. Or Wine or whatever tasty. We want to get to know each other and have a nice chat, not only about business but about what you like, what you do and about you. This connectionand to make you feel comfortable and at ease is what matter the most to us. We’re easy going and relaxed guys, we work together because we think there is another way to do our work based on human connection and fun time. We will spend amazing time together and experience an unforgettable adventure together. We want to meet you as vendors but say goodbye as friends. Who will take my wedding pictures? Two of us will be with you during the Big Day, in order to capture every moment without losing any moment and of course because two point of views are always better than one! We are Riccardo, Lorenzo and Tiffany, apparently young but skilled and seasoned photographers. Of course, Brando and Ilaria are our videos masterminds. They are ready to make you shed a tear everytime you press play. All you’ll need is a box of tissues! But don’t forget about the fun part, we are all party fans! Where are you from? Would you travel for a wedding? We’re based in Bologna, a beautiful city in northern Italy, and in Berlin. We love travelling and discovering new places, especially for weddings. 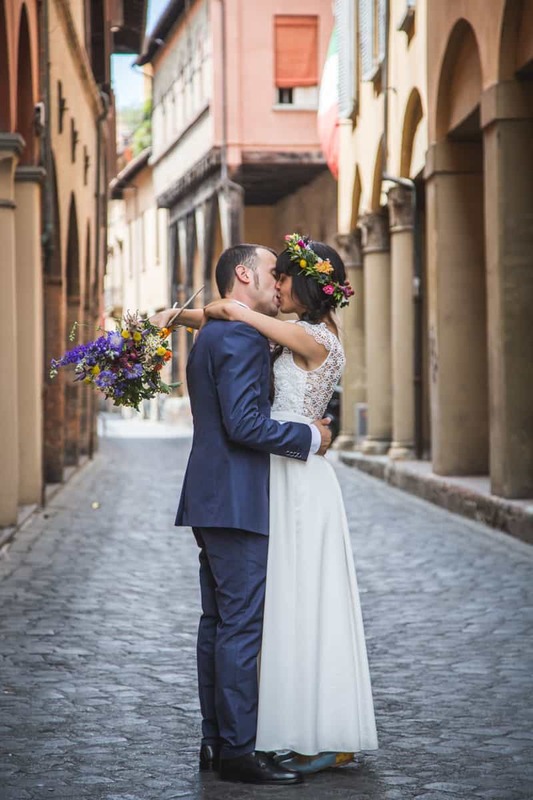 We know Italy very well (especially Emilia Romagna, Tuscany, Cinque Terre, Lake Como and Garda, Rome and Sicily) if you need a helping hand in the wedding set up and we speak fluent German, Spanish and English. We’ll go wherever our camera takes us! Why should I choose you and not a traditional photographer? Well, we know that choosing the right photographer is always a difficult task. We tell stories, we like a very romantic, intimate and natural style and totally free of absurd poses. We solemnly swear not to ever force you to do casque in the fields or climb on the altar, unless it is your request. You are free to be spontaneous and to do many beautiful smiles among the guests. We also consider weddings to be important as persons, because we establish relationships and we connect. We like to get to know you and understand your story… because you’re not just customers! We love taking photographs of love stories. Weddings and couples are our favorite, but we also capture family moments and maternity. Weddings always include 8h coverage, editing, a USB Key with both High and low quality pictures. We also create beautiful videos that follow the same style of our photographs and we also print beautiful albums, with two main different styles for any budget. Photo Booths are so much fun and we always set up something inspired by your wedding, we also offer insta-prints, polaroids and high quality prints. We can also help you with the save-the-dates and invitation or the whole graphic branding of your wedding. You’re always totally free to chose whatever you like and whatever you think is the best for you! No obligations, we just want to be as supportive as possible. Usually during the summer we require advance notice of at least six months for the weekends. Anyway during the week, autumn and winter we can agree with a couple of months in advance! There are cases in which dates are released or remain uncovered, so do not hesitate to ask in any chance! Is the estimate request binding? Absolutely not! You can take all the time you need to decide! If we receive an application for the same date, we will inform you as soon as possible. We want to be totally transparent with you. Don’t be shy, just drop us a line! For more information, please write an email to info@rocknrollweddings.it.